As we have covered elsewhere on AutoGuru, ‘hybrid’ refers to a vehicle that uses two or more power sources to get moving and stay moving. These power sources are an internal combustion engine and a battery-powered electric motor and hybrid technology such as this has been well proven, resulting in many vehicles now available on the market and that use it in one form or another. If you’re hunting for a new car, then you may well be considering whether a hybrid car is for you. Here’s why you should, or shouldn’t, consider a hybrid as your next ride. For most of us, the advantage of owning a hybrid is quite clear – it will have really good fuel economy and will save us money. That’s it. The salesperson need go no further. If it means I’m not going to use as much fuel and there’ll be extra money in in my pocket, then the deal is done. 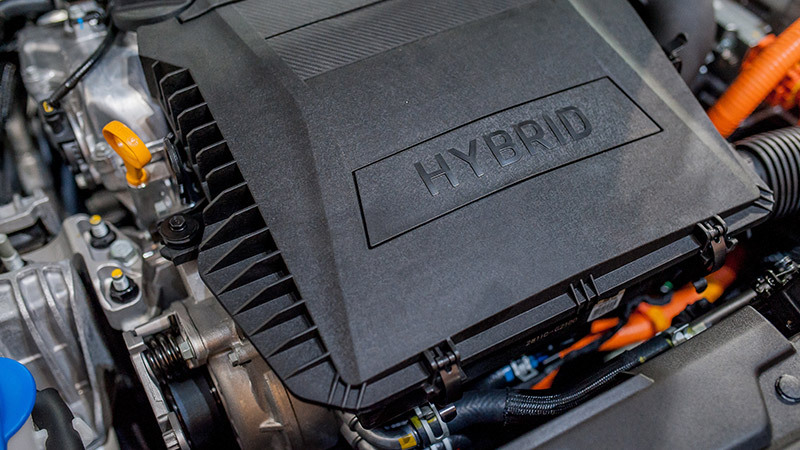 It is true, of course, that hybrids - especially those known as ‘full’ hybrids that can use both the internal combustion engine and battery-powered electric motors for power – can offer substantial fuel savings. The current Camry Hybrid, for example, runs at a claimed 4.2-litres per 100km, better than the 7.8-litres per 100km offered by its non-hybrid, petrol engine cousin. That would translate to some pretty good savings over time. As well as saving you a pretty penny or two, hybrids do release fewer of those planet-destroying emissions. Less fuel used means less nasty greenhouse gases pumped out. Simple. While you might think that saving money and doing your bit for the environment might mean having to give up something as important as performance, that really isn’t so. In fact, the instant power provided by electric motors, when combined with a petrol engine, can deliver some pretty impressive performance figures. If we look again at the ’full’ Camry Hybrid, a ‘combined output’ of 160Kw (215hp in the old money), and a 0-100km of a little over 8 seconds is not to be sniffed at. We’re back to saving money again. While hybrids do have the extra bit of battery and electric motor tech that isn’t on a traditional internal combustion engine vehicle, maintenance costs do not necessarily go up as a result. While the combustion engine bit of the vehicle requires the same sort of maintenance as any other petrol engine, the fact it is paired with the electric motor should mean it sees less work. The result? Less wear and tear. Okay, so you may save money on fuel and maintenance, but it is also true that hybrids do cost a bit more than their non-hybrid brethren. A quick trawl through Toyota’s website tells me a 2.5-litre auto Ascent model will cost me $31,323 driveaway. A hybrid version will set me back $33,372. It ain’t much, but is that extra couple of grand a painful pinch too far? This does rather depend on where you live and the type of hybrid you drive. Extremes of temperature (particularly the cold) do have an effect on batteries in general and can cause them to discharge more quickly and charge more slowly. This might be noticeable when driving on electric power alone where the range of your vehicle may well decrease. There’s also the possibility of having to replace the battery pack element of the hybrid system. While the batteries are very robust, and manufacturers will offer pretty impressive warranties on them of up to 8 years, once that warranty has gone, replacing the battery can be, for the moment at least, fairly pricey. Depending on the model and battery type, it could set you back from a couple of thousand to a good deal more than that. It’s worth noting, however, that as more hybrids, and indeed all-electric vehicles, become available, batteries will become less expensive to replace. Plug-in hybrid vehicles (PHEVs) are vehicles that have an internal combustion engine that helps to charge the battery by regeneration when slowing down or braking. However, the battery is mainly charged by external means and has to be plugged in to get a full, refreshing, charge. While that may not be a problem most of the time, it’s clear that a decent recharging infrastructure wouldn’t go amiss. While you can drive a PHEV with a depleted battery, it kind of defeats the purpose of the technology if you do so. Most cities do have a decent number of recharge points, and that number will grow, but comprehensive coverage outside of big urban centres is not, yet, guaranteed. Want to compare the costs of owning and operating a hybrid vehicle compared to your current one? You can use AutoGuru to see how much your servicing and repairs will cost you. It’s quick and easy!